The Certificate IV in Plumbing and Services (CPC40912), delivered by Builders Academy Australia, is a vital step for anyone wanting to obtain licensing and registration in the plumbing industry. Throughout this in-depth course, you’ll develop the skills, knowledge and confidence you need to take your plumbing career to the next level. You’ll learn a range of general plumbing skills as well as delving into specialist areas such as drainage, gas fitting, roof drainage, sewerage and more. After 38 weeks of study, including six hands-on practical days, you’ll be more than ready to achieve all your plumbing career goals. Have completed the Certificate III in Plumbing. 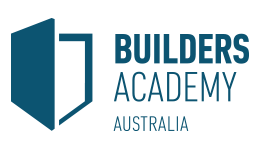 When it comes to receiving a top-notch learning experience, look no further than the construction experts at Builders Academy Australia (BAA). With a reputation for ‘turning tradies into legends’, you can trust Builders Academy Australia to equip you with the right technical and theoretical skills to succeed on any job site. Each of their nationally accredited courses in building and construction, plumbing and more, are led by qualified trainers who will share their real-world insights with you. BAA is part of Simonds Homes, one of Australia’s largest homebuilders, which means that students will have the opportunity to develop strong ties with industry professionals and start building their dream career – literally! Builders Academy Australia (BAA) is all about ensuring their students get a positive learning experience! BAA’s student welfare and support services include academic support, non-academic support and additional support to special needs students. BAA has a dedicated Student Welfare Coordinator part of their team, who will regularly touch base with each trainer to identify any students with special needs or may require welfare support. After extra study support? Turn BAA’s friendly training managers, senior trainers or assessors who will guide you through your learning journey. Upon successful completion of this course you will receive a Certificate IV in Plumbing and Services (CPC40912) from Builders Academy Australia. Graduates are prepared to undertake the state examination to become a fully licensed plumber. The maximum fee for this course is $9,024. Builders Academy offers affordable payment options to help you start your studies sooner. Eligible students may be entitled to government funding. Under Skills First Funding program, the Victorian government will contribute to the cost of training for eligible Victorian students to study courses that will prepare students to work in an industry with growing need for skilled workers. Enquire now to find out more! Fill out this form and a study consultant from Builders Academy Australia will get back to you.